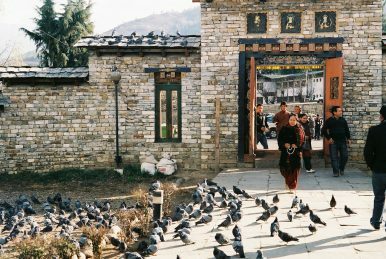 India's New Gateway to Bhutan Northeast India could be Bhutan’s new gateway to the world. Northeast India could be Bhutan’s new gateway to the world. One hopes that Indian diplomats and national-security managers are doing some serious soul-searching about how and why events spun, so swiftly, out of control in neighbouring Maldives. Given India's self-assigned role of regional "net security provider", the Integrated Defence Staff, in New Delhi, must be reviewing their plans for launching what they term an out of area contingency (OOAC) operation, at short notice. Should our military be called upon to render assistance to the Republic of Maldives, this will certainly not be for the first time. FORT POLK, La. — The silver bracelet Staff Sgt. Ryan Mathes wears memorializes the life of Sgt. Tanner Higgins, a friend and fellow Army Ranger who was killed in a firefight with the Taliban in 2012. Mathes joined the Army in 2009 just days out of high school as the Obama administration surged the number of troops in Afghanistan to more than 100,000. He often faced combat in the following years with the elite 75th Ranger Regiment, as troop levels were eventually slashed and secure areas of the country again fell under Taliban control. Description: For nearly two decades the government of Afghanistan, with the help of U.S. and coalition forces, has been battling for control of the country against the ever-present threat of the Afghan Taliban. FDD’s Long War Journal has been tracking the Taliban’s attempts to gain control of territory since NATO ended its military mission in Afghanistan and switched to an “advise and assist” role in June 2014. Districts have been retaken (by both sides) only to be lost shortly thereafter, largely resulting in the conflict’s current relative stalemate. However, since the U.S. drawdown of peak forces in 2011, the Taliban has unquestionably been resurgent. KANDAHAR, Afghanistan – There’s a new faith among the latest U.S. generals who have come to win the war in Afghanistan, but plenty of old realities. U.S. Central Command’s Gen. Joseph Votel, who is overseeing the Trump administration’s Afghanistan War reboot, came here to see its beginning and its promise of victory, with newly arriving squadrons of attack jets, howitzer cannons, and hundreds of specialized and experienced U.S. troops. Just hours earlier, the 4-star distinguished visitor had been in Kabul discussing those plans at the Afghan Ministry of Defense when a suicide attacker detonated a massive car bomb disguised in an ambulance. Welcome back to the war. Last year, dozens of categories of previously unclassified information about Afghan military forces were designated as classified, making it more difficult to publicly track the progress of the war in Afghanistan. The categories of now-classified information were tabulated in a memo dated October 31, 2017 that was prepared by the staff of the Special Inspector General for Afghanistan Reconstruction (SIGAR), John Sopko. Maldives Crisis: What Is Wrong With India? Maldivians regret the knee-jerk reaction of the Indian strategic community and the media, which have neither the time nor interest in their nation and its people unless China or IS or both get a free mention. 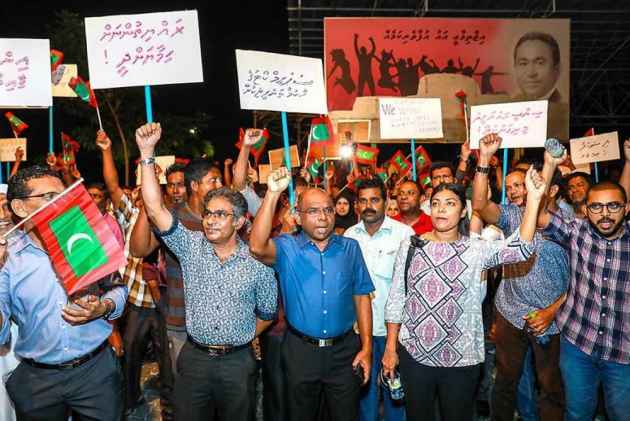 Maldivian opposition supporters shout slogans during a protest as they the urge the government to obey a Supreme Court order to release and retry political prisoners, including an ex-president in Male, Maldives. Doing nothing is not an option, but there are few good choices for India. 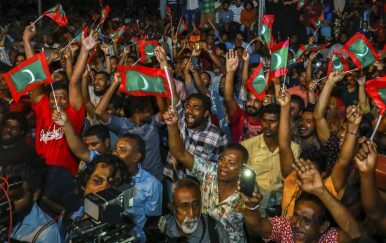 The political crisis in the Maldives is escalating dangerously, with President Abdulla Yameen declaring a state of political emergency in the country. With the opposition Maldivian Democratic Party (MDP) calling on neighboring India to militarily intervene to end the crisis, all eyes are on Delhi. Will India intervene militarily in the Maldives, as it did 30 years ago? 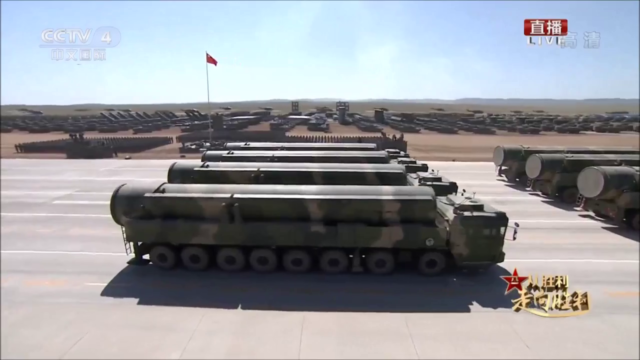 The PLA Rocket Force is continuing to upgrade its missile forces and shift its emphasis from a posture of immobile and vulnerable positions hidden deep in mountains to a highly mobile and more survivable mode. A new CCTV documentary also reveals that China’s multiple independently targetable re-entry vehicle (MIRV)-capable intercontinental ballistic missile (ICBM) DF-41 will begin active service in 2018 (PLA Daily, December 25, 2017; People’s Daily Online, November 28, 2017). 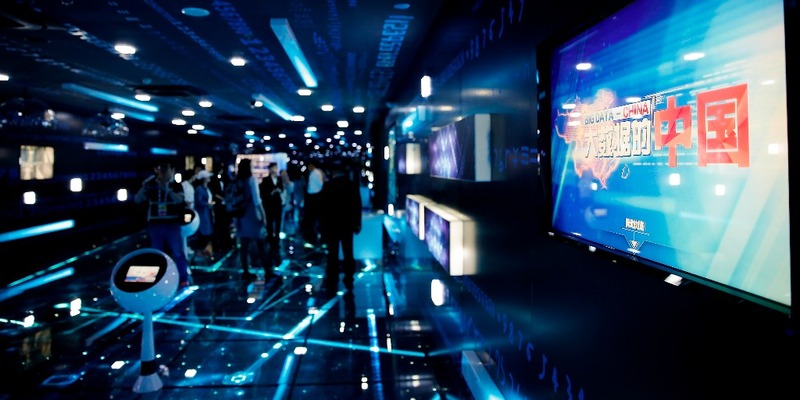 Bottom Line: China’s nationwide pursuit to become the world leader in artificial intelligence (AI) is an attempt to not only match U.S. economic power, but to bypass it geo-strategically. While Beijing’s involvement is spurred by economic ambitions, it has made it clear that the development of AI will simultaneously be for military applications that could change the character of warfare and place the U.S. at a geopolitical disadvantage. Djibouti, one of Africa's smallest countries, has become China's "strategic partner." The Chinese have built a military base and a port, and is currently constructing a free trade zone, fast establishing it as Beijing's gateway to the continent. A police car appears in a cloud of red dust on the dirt road between the boulders. A young man in uniform opens the window and starts grousing in French. The Chinese men he is rebuking don't understand any of it, but slowly realize where the anger is coming from. They had forgotten to register with the sentry guarding the entrance to the large construction site above the coast. A look at China’s militarization of its artificial islands in high resolution. The Philippines-based Inquirer has gotten its hands on high resolution aerial photographs of China’s seven artificial islands in the Spratly group in the South China Sea. The images are among the best we’ve seen of the remarkable facilities and equipment China has emplaced on these islands, which didn’t exist just five years ago. Since at least 2010, the Russian state-sponsored hacking group Cozy Bearhas been implicated in cyber attacks around the world, penetrating networks belonging to the U.S. State Department, the Joint Chiefs of Staff, and the Democratic National Committee, and targeting other systems around the world from Norway to Brazil. Their targets have often seemingly struggled to keep up with the attacks–the Pentagon in 2015 reportedly took thousands of unclassified email accounts offline for at least 10 days to recover from a hack by the group, and Cozy Bear is said to have had access to DNC systems for about a year before being discovered. In December 2017, Vladimir Putin triumphantly declared Russia’s victory in Syria. Addressing troops during a surprise visit to the Khmeimim airbase, he also announced a partial withdrawal of forces. “The homeland is waiting for you, friends. Godspeed!” he said. Although Russia’s intervention on the side of Bashar Assad did meet with marked success, Putin’s declaration was little more than political theater timed for the upcoming presidential campaign in March — Russia has already announced troop reductions in Syria three times. Just so there’s no confusion: This column is not about Americans conspiring or colluding or coordinating with Russians. That’s a separate controversy about which I don’t have a lot to say at this moment. What this column is about: Dezinformatsiya, the Russian word that gave birth, in the 1980s, to the English neologism “disinformation.” Understand that disinformation is not a synonym for misinformation. The later implies information that happens to be wrong. The former implies an attempt to deceive public opinion for strategic purposes. Planning for mobilization is cheap, but failing to do so could be outrageously expensive. Mobilization of American society for World War II was a major factor in the Allied victory. More importantly, it was the foremost reason for the extreme disparity between American military deaths and those of our enemies. Germany lost ten times more military killed in action than the United States, and Japan lost nine times as many. The raw figures are 292,000 Americans and 2,900,000 Germans—and Germany had a population only 60 percent of that of the United States. The ratio with Japan was similar. The United States also out produced both enemies, building double the combined Axis output. That industrial output (a generous part of which went to our allies) mattered immensely, as the figures above indicate. Bottom Line: For terrorists, moving money covertly through hawala networks to circumvent institutionalized banking systems remains one of their leading methods of avoiding detection. The U.S. has managed to unearth and even sanction certain illicit hawala networks, but terrorists continue to exploit this centuries old, nearly untraceable practice to finance their operations around the world. 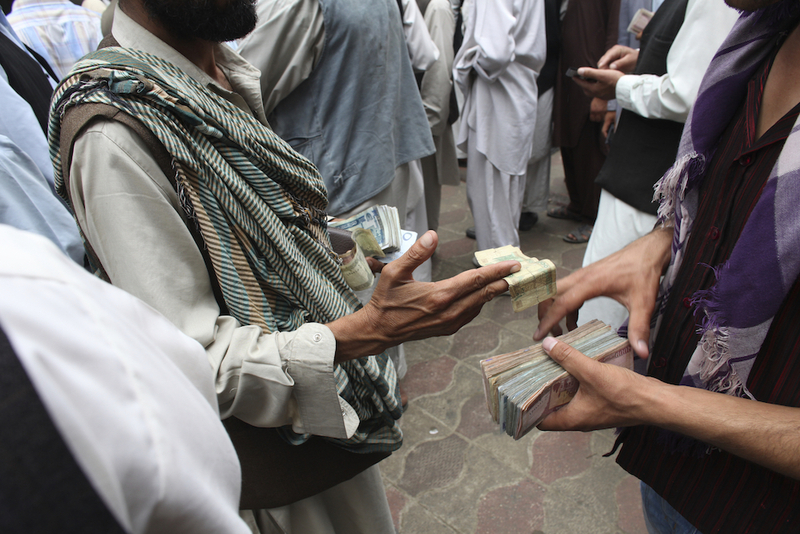 Background: Hawala, which means “transfer” in Arabic, is an informal transaction system based largely on mutual trust. PACIFIC MONEY What Now for Economic Integration in the Asia-Pacific? Image Credit: Michael Valdon What Now for Economic Integration in the Asia-Pacific? In January, Toshimitsu Motegi, the Japanese minister in charge of economic revitalization, announced that an agreement had been reached on TPP-11, absent the United States, and that it was set to be signed this March. 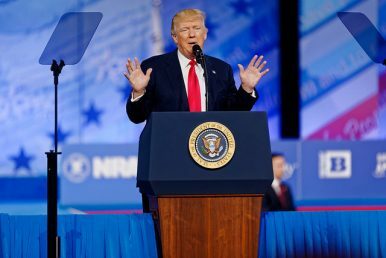 Several days later, U.S. President Donald J. Trump attracted considerable attention for remarks hinting at the United States returning to the TPP. The evidence took the form of a speech delivered by Trump at the annual World Economic Forum in Davos, and an interview with U.S. media outlet CNBC he gave just before his speech. This is not going to end well. Government control in Venezuelan is collapsing along with the economy and much else. The government refuses to deal with political opponents or acknowledge the fact that most Venezuelans would vote the current government out of office if they had the chance. The currency is worthless, most commercial enterprises have been driven out of business or simply shut down by the government. In GDP terms the economy is about half what it was in 2013, when the crises accelerated because of falling oil prices and the death of the charismatic founder of the socialist state in Venezuela. 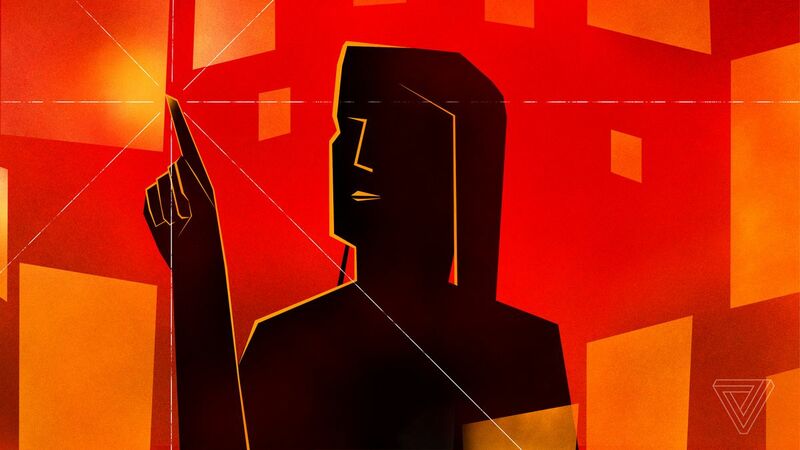 Demographics, automation and inequality have the potential to dramatically reshape our world in the 2020s and beyond. Our analysis shows that the collision of these forces could trigger economic disruption far greater than we have experienced over the past 60 years (see Figure 1). 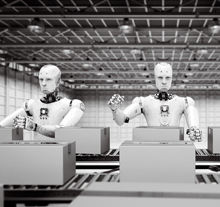 The aim of this report by Bain's Macro Trends Group is to detail how the impact of aging populations, the adoption of new automation technologies and rising inequality will likely combine to give rise to new business risks and opportunities. These gathering forces already pose challenges for businesses and investors. In the next decade, they will combine to create an economic climate of increasing extremes but may also trigger a decade-plus investment boom. 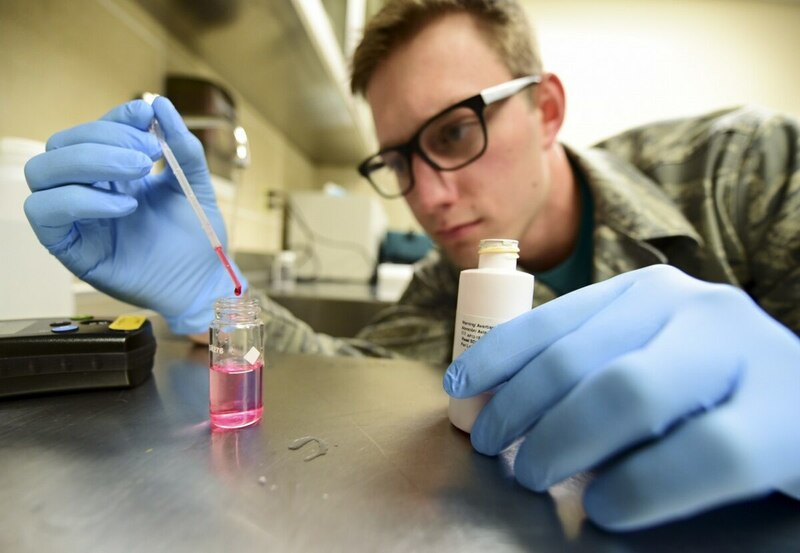 Cyberbiosecurity advocates are sounding the alarm about the enormous risks posed by the biotech industry's increased reliance on computer-controlled instruments and networks. H/T Dave Maxwell - For those with in interest in SOF in the Asia-Pacific Region the latest edition of Special Warfare Magazine from the US Army John F. Kennedy Special Warfare Center and School has about 90+ pages of articles. On one end of the leadership spectrum, there is Machiavelli–conniving, ambitious and ruthless. On the other there is Cyrus the Great–humble, generous and loyal. Along this spectrum of great leaders and motivators, used so often in business books, speeches and anecdotes, there is one unmentionable: Genghis Khan. A man so evil, unwashed and bloodthirsty that he is impossible to learn from. A friend recently called my attention to a symposium on “The Meaning of Vietnam” that appeared in the June 12, 1975 issue of the New York Review of Books. Just weeks before, Saigon had fallen and the Republic of Vietnam had passed out of existence. The editors of the NYRB considered the moment opportune for some of the paper’s regular contributors—leading lights of the East Coast intelligentsia—to assess the war’s significance and implications.